Mischievous, charming and brave, Peter Rabbit is a hero who overcomes obstacles, outwits predators and dodges danger on his exciting adventures. 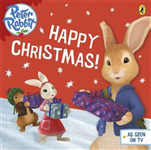 To help him on his adventures, Peter is never without his cousin Benjamin Bunny and their good friend Lily Bobtail. Celebrating all the lovely things small children do, this book encourages engagement and ends with a mirror surprise so that little ones can see themselves. 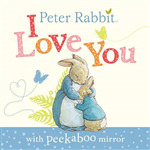 Presents an introduction to Peter Rabbit and a wonderful present for a new baby or toddler. Poor Jemima's eggs are in danger! Will she save her eggs and herself? This retold version of the "Tale of Jemima Puddle-Duck" is ideal for young children. Peter Rabbit is a good little bunny most of the time! and now he's getting ready to celebrate Easter. He fetches some groceries for his mother, helps himself to some vegetables in Mr McGregor's garden and joins his friends for a fantastic Easter egg hunt. 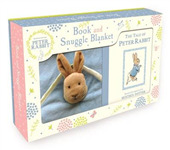 When is bedtime for Peter rabbit? What time does Jeremy Fisher stop for a butterfly sandwich? Spend the day with Peter Rabbit and his friends to find out, and set the time yourself! 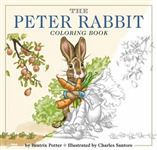 Meet Peter Rabbit in this gorgeous bunny-shaped board book, perfect for little hands. Join him on his busy day of hopping and jumping in the woods before settling down in his cosy bed. A beautiful gold centenary edition of a beloved Beatrix Potter classic. Charming characters like Old Mr. Pricklepin, Diggory Diggory Delvet and, of course, Appley Dapply are brought to life with funny rhymes and beautiful watercolour illustrations. 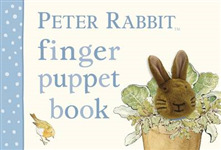 A finger puppet book featuring Peter Rabbit that is cleverly stitched into the book so it can't get lost, and is integral to every page. A buggy book, with very simple illustrations. It is suitable for the very youngest Beatrix Potter fans, who love discovering the things that Peter Rabbit likes to do best. 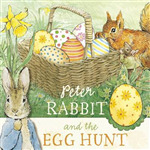 A simple guessing game which features five of the author's best-known characters, including Peter Rabbit. On each page the reader must guess if Peter Rabbit is hidden behind the giant flap.